August 4th: What's On Today's Show : Blog Of The Nation In the first hour of Talk of the Nation, an update on Syria, and the affects of a no-cost birth control mandate. In the second hour, linguist John McWhorter talks about his book, What Language Is, and filmmaker Greg Barker talks about his HBO documentary, Koran By Heart. The United Nations Security Council issued a presidential statement Wednesday night condemning the Syrian government's brutal response to the uprising against President Bashar Assad's regime. The statement came after the latest assault in the central city Hama, where at least 100 people have been reported killed since Sunday. Many argue that the U.N. statement is a weak response to the violence and that the international community must do more. In a recent op-ed in The New York Times, Bassma Kodmani argues that "foreign governments, whether Arab or Western, have limited roles to play" and that the key to stopping the bloodshed lies with the Syrian people, specifically a minority Shiite sect called the Alawites. Guest host Tony Cox talks with Kodmani, the executive director of the Arab Reform Initiative, about her stance on what it will take to topple the Assad regime. Starting next August, women with insurance will not have to pay co-pays and deductibles for birth control. The Obama Administration announced this week it's accepting the recommendations of the Institute of Medicine that birth control, along with other services like HIV screening and domestic violence counseling, be treated as preventive medicine. 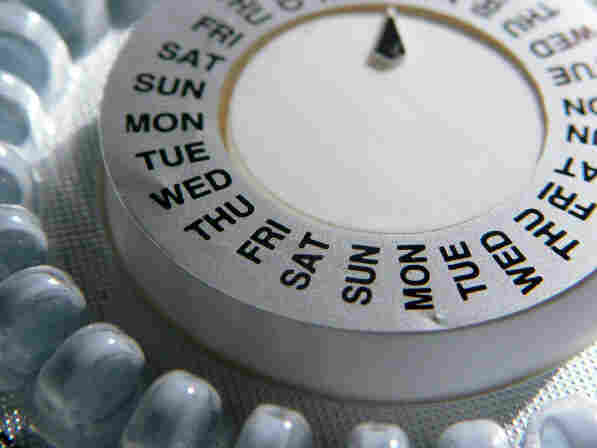 The administration hopes the new plan will reduce the cost barrier to use birth control. NPR health policy correspondent Julie Rovner joins guest host Tony Cox to detail the mandate, and explain how and when it will affect families and what it means for medical providers. Humans may have been speaking for as long 150,000 years, but have only been writing for 5,500. Yet many people assume the written word is superior to the spoken word. In the eyes of linguist John McWhorter, most of our assumptions about language are wrong. In a new book, he argues that languages are anything but "pure" — they are ingrown, disheveled, and mixed time and time again. Guest host Tony Cox talks with McWhorter about his new book, What Language Is: And What It Isn't And What It Could Be. The Muslim holy month of Ramadan began this week. For years, scores of young people from around the world have spent the months leading up to Ramadan preparing for a nerve-wracking competition in Cairo, Egypt, where they attempt to recite the Koran from memory. Last year, filmmaker Greg Barker captured the experiences of three children and their fellow competitors in the new HBO documentary, Koran By Heart. In the film, children as young as 7 take to the microphone before a panel of elder judges. And many, despite having memorized the entire Holy Book, cannot speak Arabic. Barker talks with host Tony Cox about why he made Koran By Heart, and what he hopes viewers will learn about Islam, and the Muslim world, from the film.